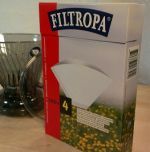 A pack of 30 disposable paper drippers from Kalita for coffee-making with ground coffee. 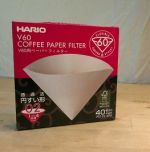 The Kantan is a single cup drip-filter coffee version. 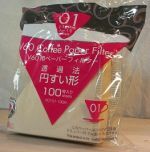 This paper coffee filter is a small portable holder and filter all in one. 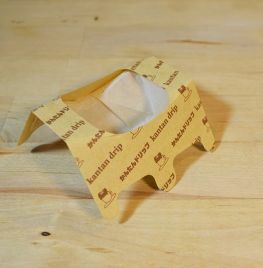 The Kalita Kantan is easy to use wherever you are - simply fold out one of the cardboard holders which fit directly onto a mug, put some ground coffee into the integral filter paper. Pour hot water through from a flask or a kettle and your coffee drips through into the mug below. Disposable. The Kalita Kantan Paper Dripper pack is great to take out and about with you, on holiday, or to work so you can be in control of the quality of your coffee.